Roy Melvin Gonser was born on November 18, 1951 in Mooreland, Oklahoma to Oliver and Lucille (Ford) Gonser. He grew up in Gage, Oklahoma and attended Gage Schools. Roy joined the United States Army on March 25, 1970 and remained until March 1972. In 1971, he married Lynn Covington in Canadian, Texas. They started their first home in Fort Hood, Texas. The two were blessed with three children, Roy Jr., Ricky, and Tanya. The family later made there home in Woodward, Oklahoma. Roy worked various jobs including gas station attendant at Kevins Kerr McGee and Pauls Total Service. Roy enjoyed fishing, metal detecting, the outdoors and helping people. He was a hard worker and enjoyed spending time and having a laugh with his family. 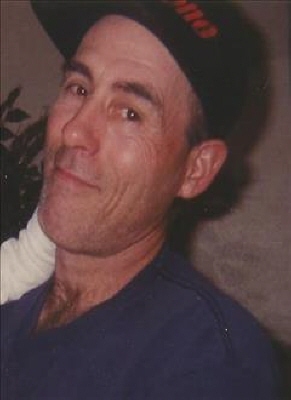 He is survived by his daughter, Tanya Johnston and husband Daniel; nephew, Jeff Gonser and wife Chasity; brothers, Harold Gonser and wife LeaAnne, George Gonser and wife Glenda; sister, Bessie Bussard and husband Larry; three grandchildren, Izabela Powell, Maxwell Johnston, and Paul Johnston; other relatives and friends. Roy was preceded in death by his parents; wife, Lynn Gonser; brother, Clyde Gonser; sisters, Jeanie and Marie; sons, Roy Jr., and Ricky, and a nephew, Paul Gonser. To send flowers or a remembrance gift to the family of Roy Melvin Gonser, please visit our Tribute Store. "Email Address" would like to share the life celebration of Roy Melvin Gonser. Click on the "link" to go to share a favorite memory or leave a condolence message for the family.